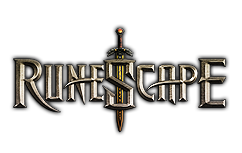 Runecrafting free-to-play skill released with RuneScape 2 allowing players to craft runes for Magic spells at Runecrafting altars. Runecrafting was accidentally discovered by a Fremennik, which eventually led to a split of clans. Since the release of the Runespan, the amount of players who have achieved 99 Runecrafting has more than doubled. Because of this, Runecrafting has gone from being the rarest level 99 to currently being the fifteenth rarest level 99 (Construction being the first.) Runecrafting also has the ninth fewest number of players to have reached 200M experience, with only 47 players having done so. With Runespan, players can actively train their runecrafting skills whenever they want for free. Mining is a practical way for newcomers to fund later adventures. After a few days of mining, you can sell your bulk essence. Since the price you get for it greatly depends upon the quantity, you should have at least 1,000 essence. There are two types of essence, normal essence and pure essence. You can mine pure essence if you are a member with at least level 30. Pure essence can then be used to craft any rune while normal essence can only be used to craft fire, earth, air, water, mind and body runes. The right know-how, runecrafting can be an excellent way to make fast rs gold. While finding lucrative and convenient altars can be challenging, a mid to high level player can benefit from heading out into the wild, as the best altars are found far from the banks. In order to runecraft, the player must have reached at least level 35. Up until that point, one can make air runes with 4,482 rune essence. From level 35 up to level 44, you can make chaos runes with 3,911 rune essence. Once above level 44, you can make nature runes and sell them for anywhere between 300 and 500 gp a piece. These runes yield the highest profit. When runecrafting, it is advisable to wear boots of lightness and wear minimal armor and weaponry. Only a pickaxe is needed. It is recommended to have pouches with you to allow you to carry more essence. Remember to use your pouches if you have them. They will save you time and money.